BRISTOL – Today is Election Day, and if voters want to make their voices heard, they should first be aware of where to go to vote and make sure that they are registered to do so. Voting will take place statewide from 6 a.m. to 8 p.m. today. In Bristol, voter registration will take place between 6 a.m. and 8 p.m. 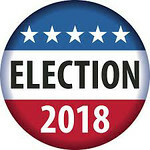 However, Sharon Krawiecki, Republican Registrar of Voters, advised that people register to vote no later than 7:30 p.m.
You will need proof of residency as well as identification, like any recent bill or a paycheck or any document which shows the full address. Below you will find a complete list of polling places. Bristol’s District 77, Precinct 1 will be voting at Edgewood School at 345 Mix St. District 77, Precinct 2 will vote at Northeast School at 530 Stevens St., District 77 Precinct 3 will vote at Mountain View School at 71 Vera Road and District 77 Precinct 4 will be voting at Bristol Eastern High School at 632 King Street. For District 78, Precinct 1 will be voting at Chippens Hill Middle School at 551 Peacedale St. and District 78, Precinct 2 will be voting at West Bristol School at 500 Clark Ave.
For District 79, Precinct 1 will vote at South Side School at 21 Tuttle Road, District 79 Precinct 2 will vote at the Bristol Elks Lodge at 126 South Street and District 79 Precinct 3 will vote at Greene-Hills School at 718 Pine St.
District 1 Terryville High School, 33 North Harwinton Ave.
District 2 Kennedy Middle School, 1071 South Main St.
District 3 Derynoski Elementary School, 240 Main St.
District 6 DePaolo Middle School, 385 Pleasant St.
District 9 The Tabernacle, 1445 West St.
District 10 Plantsville School, 79 Church St.
District 11 Strong Elementary School, 820 Marion Ave.
District 1 Linden St. Elementary School, 69 Linden St.
District 2 Our Lady of Mercy Parish Hall, 19 South Canal St.
Posted in New Britain Herald, General News, New Britain on Monday, 5 November 2018 21:02. Updated: Monday, 5 November 2018 21:05.